When an electric device is used in a location where explosive gas or steam is present, such as a petrochemical plant, an explosion-proof motor must be used to prevent the possibility of an explosion. 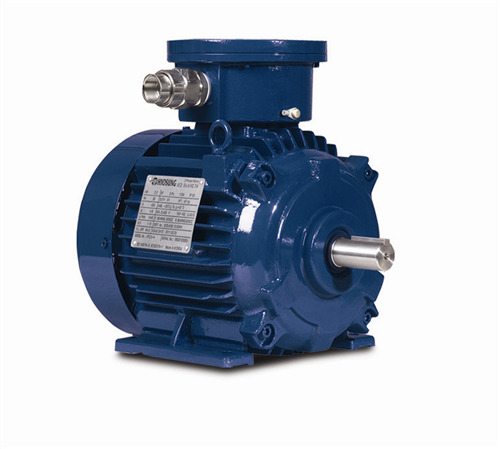 Hyosung’s explosion-proof motor ensures the safety required by domestic and international standards; Hyosung also maintains the relevant certificates. Short lead times and Affordable prices from Korean and One of Asia's Largest Electric Manufacturers. 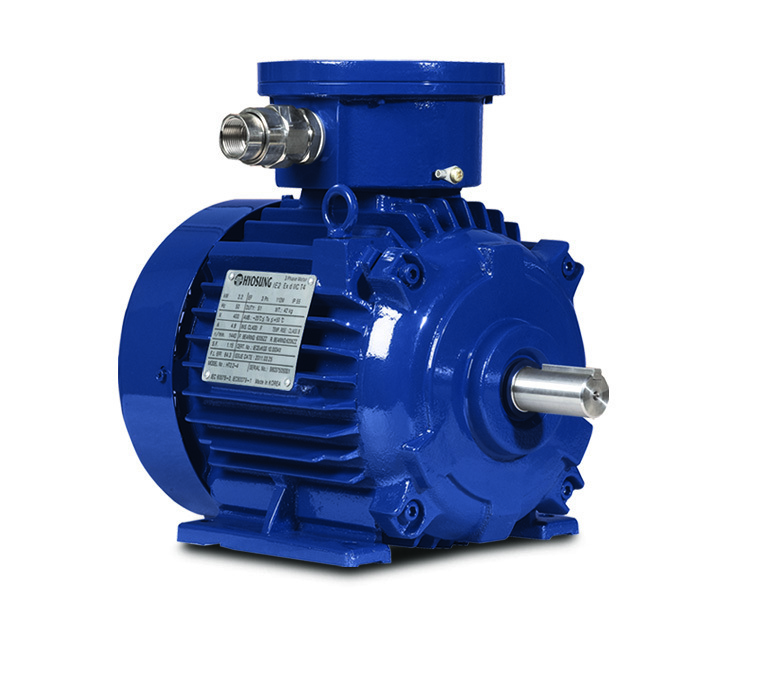 ASK us today for all your explosion proof Electric Motors. Conforms to MEPS efficiency standards and IEC Ex Certificates available. - Terminal box can be mounted at various positions top, side etc. - Can be used with VVVF drive application & VSD Use. - All Motors are thoroughly tested to ensure their functionality before shipment. IEC 60034-1/2/5/6/7/8/9/12, IEC 60072, IEC 60079-0/1/7, IEC 61241-0, EN 60034-1/2/5/6/7, HD 53 8, EN 60034-9/12 and HD 231. The standard EN 60079-0:2006 and EN 60079-1:2004,state the type of gases and vapours included in each explosion group. Ex de motors = flameproof enclosure “d” for motor frame and increased safety “e” for terminal box. DUST: ZONE 21 e 22 II 2D IP66 T 85 °C, T 100° C, T 135 °C, T 155 °C according with standard EN 60079-7:2007. SAMT and HYOSUNG have joined forces to supply the Australian Industry with explosion proof electric motors at competitive prices with short lead times. Contact us today for all your electric motor requirements.